This Academy based in Coventry has been a Centre of Excellence for 3 years and is now a Flagship School. Sidney Stringer Academy is a very successful secondary school which caters for 1350 students aged 11-19, including a large sixth form. Following an outstanding Ofsted inspection in 2013, the Academy continues to be one of the leading schools in the country for pupil progress. Every year since the Academy opened, results have continued to be outstanding at GCSE and post 16 level. In 2016 Sidney Stringer Academy was placed in the top 6% of schools nationally for student progress, the Mathematics department is in the top 4% of schools in the country. The school was a Regional winner in the Pupil Premium awards in 2015. The Academy has been the proud recipient of the SSAT Educational Outcomes award for 3 consecutive years which celebrates the exceptional progress of pupils and places the school in the top 10% of non-selective state schools in the country. Sidney Stringer Academy is a happy and successful school delivering the highest standards of education. They have a well-deserved reputation of meeting the needs of all of their pupils and supporting the students to make outstanding progress. Staff and pupils at Sidney Stringer Academy are welcoming and friendly. There is a good healthy respect for each other which was exemplified in the Jaguar House assembly I attended and saw a vocal group receive a rousing ovation for their performance. Pupils I met were very positive about their school. One told me that he “loved” coming to school each day and that he was very happy there. Another described how she had been supported through some difficult times, including significant social and emotional needs. She was very clear that key staff were instrumental in her progress. Overall, pupils were positive about their experience at the school and were quick to cite the quality of teaching and support as one of the best features of the school. One of the most striking features of the school is consistency. In my meetings with a variety of staff, it was impressive that all were ‘on message’ and fully understood what the school was aiming to achieve and what it needed to do to succeed. It was very clear too, that the school aimed to be successful with all pupils and that inclusion was of the highest priority. There are very effective systems for data analysis, which could be described as forensic, given the detail and range of information that is available. Better still, is the way in which data is used to inform strategy accurately and efficiently. Communication is well planned and effectively carried out through a variety of means. Arrangements for professional development for all staff is very impressive and gives opportunities for many people to advance their skills and their careers. Ultimately, professional development is used to improve the quality of provision and therefore improve outcomes for young people. Another striking feature of this school and its staff is the sharply reflective way they review their work. This is a school that is very, very far from being complacent and continually seeks to improve its own practice as well as support other schools. 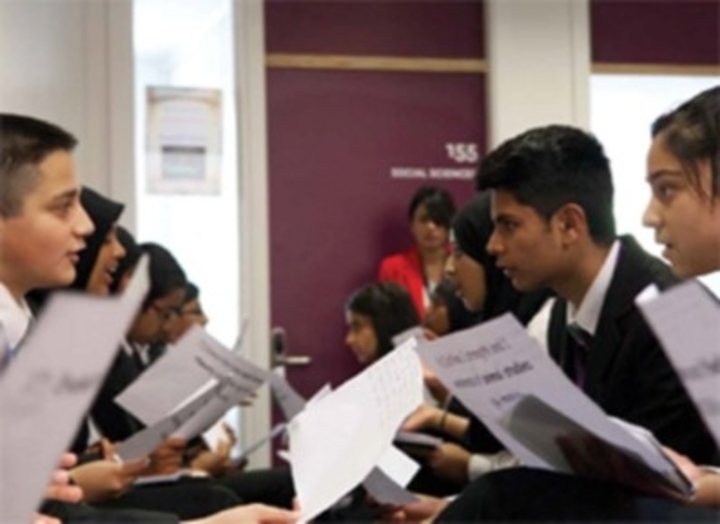 In 2014, the Sidney Stringer Multi Academy Trust was formed with four other schools in Coventry. Radford Primary Academy, Ernesford Grange Community Academy, Riverbank Academy and Sidney Stringer Primary Academy, all working together with the goal of all five Academies being outstanding. From the Academy’s website, it is clear to see that the Academy together with the other schools in the MAT are working together to improve provision across all schools. “As schools, we are committed to sharing the good practice that exists in all of the schools and we have numerous opportunities for joint training days and shared professional development for support and teaching staff across our schools. This is led by the Teaching and Learning lead of the MAT and supported by the teaching and learning leads in all the schools. During my visit, I could see the school at work and experience the inclusive ethos and culture that is central to its vision. Pupils are valued for who they are and are given the best opportunities to make the most of their abilities and exploit their potential.